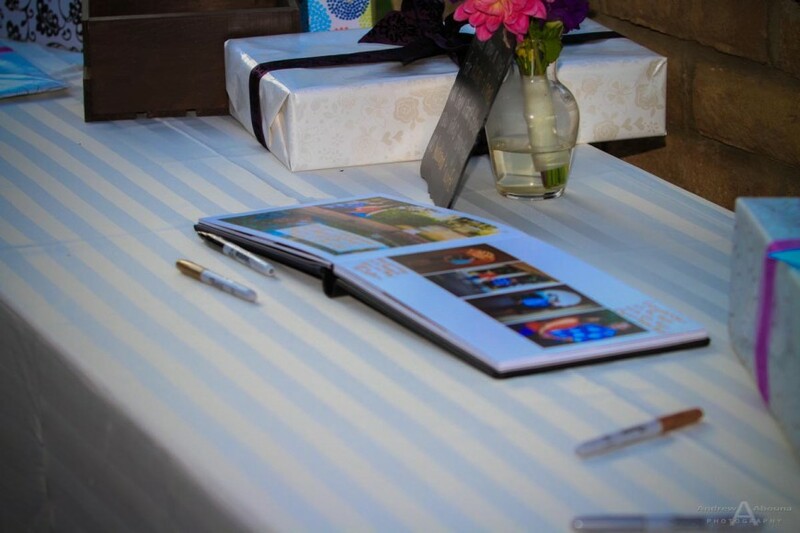 A wedding guest book with your own photos makes for a most memorable wedding keepsake because it holds a beautiful collection of photos from before you are married, shared and signed with hand-written messages from your wedding guests. 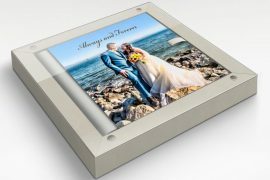 It’s so much more than a typical wedding guest book bought in a store because the wedding guest book with your engagement photos is a very personal and unique form of wedding album that is made expressly for you. Pictured here is Rachel and Shane’s wedding guest book that I made for them with engagement photos that the couple and I created a few months ago. 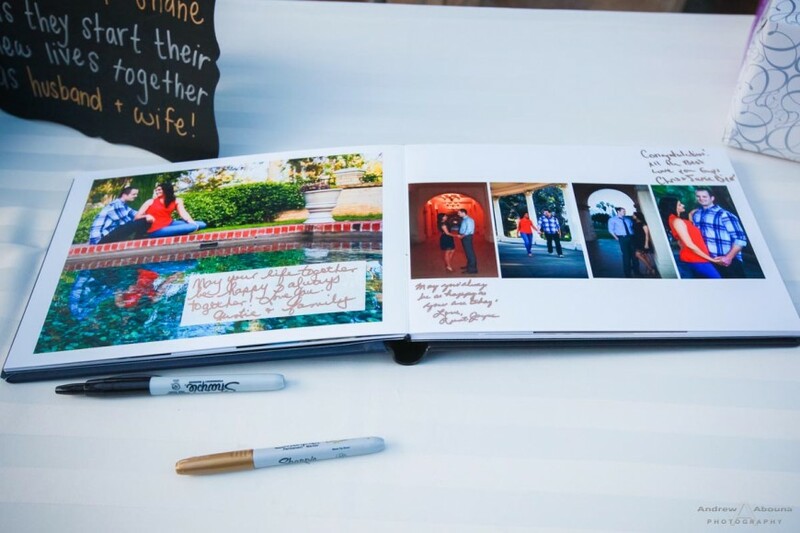 While photographing their wedding at Sycuan Resort it was delightful so see all the personal notes that their wedding guests wrote in their wedding guest book. 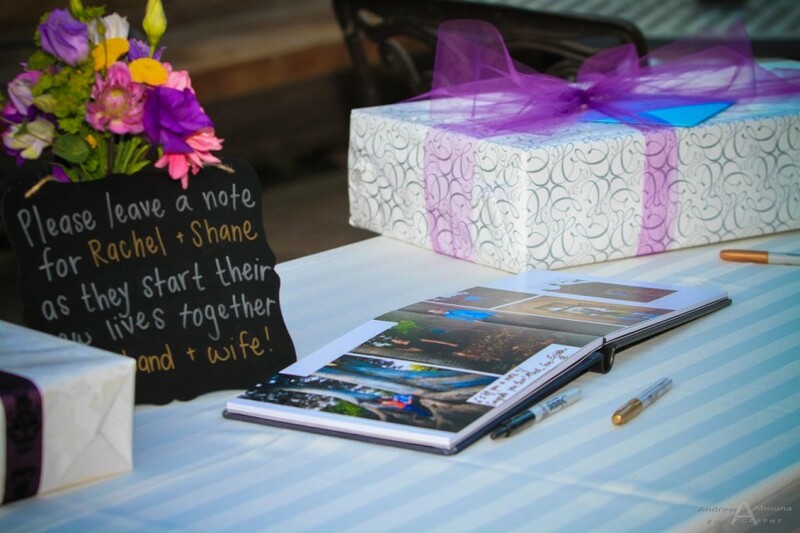 I know Rachel and Shane are very happy with their wedding guest book. 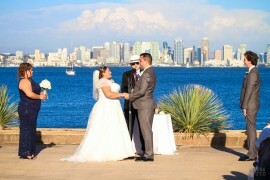 You can see all of the pages of their wedding guest book here, and their Balboa Park Engagement Photos are here. 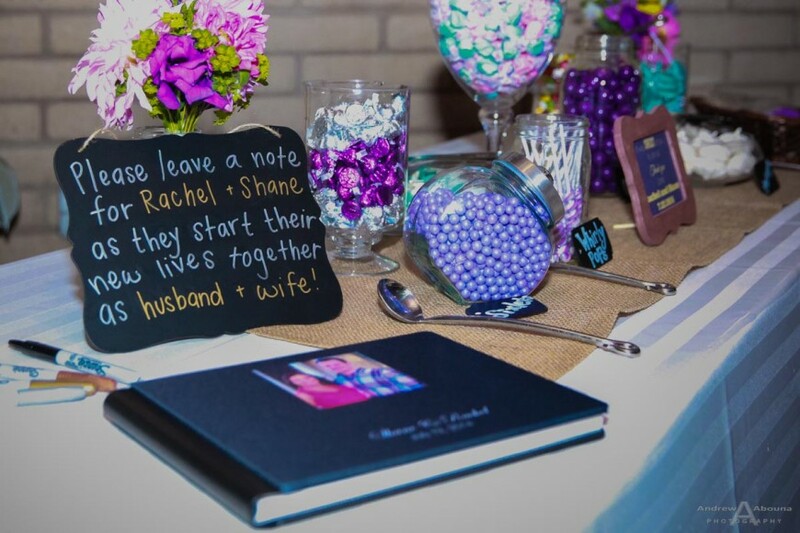 The beautiful wedding guest book that I created for Rachel and Shane was made using the finest wedding album process available in San Diego, or anywhere! The process begins with the couple selecting a large number of their favorite photos from their engagement session. They also got to choose from a variety options for the album cover and paper type for the pages, as well as text for album cover. 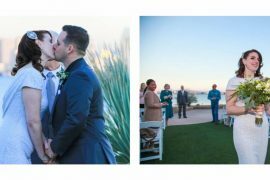 I edited or retouched each of their favorites photos and hand layout the photos across the album’s pages, to tell a story of the couple in the way they wanted. When complete, the couple was able to review a digital sample of the album to make sure they liked it or had any changes. Following that, I sent the final album design to Italy to be hand-made by the finest wedding album company, GraphiStudio. 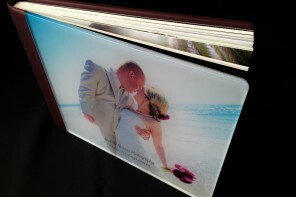 Within a few weeks the completed wedding guest book arrived and was ready for the couple. 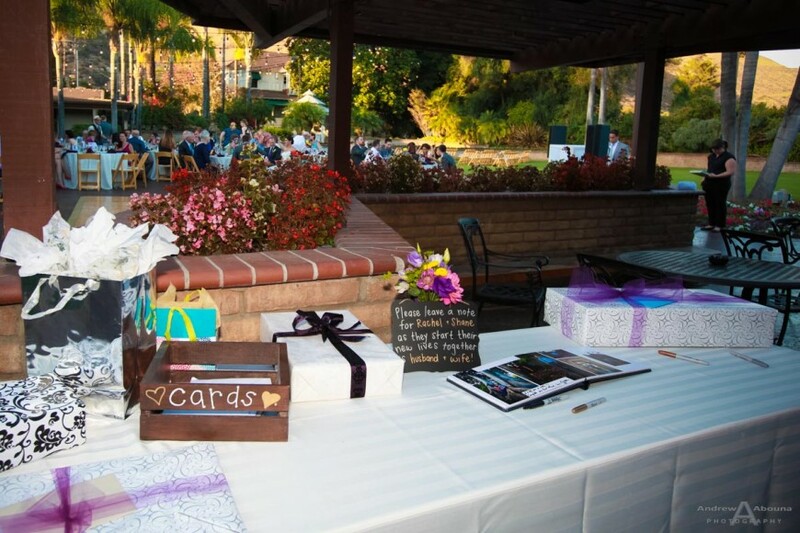 The wedding guestbook with your engagement photos becomes a true keepsake and family heirloom. The cost to make one is much less than you might expect, especially when paired with a wedding photography package or engagement session. 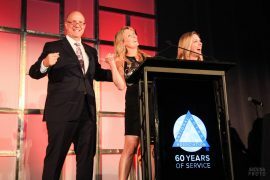 Contact me to find out more!